The incidence of sexual abuse is often difficult to spot and rarely reported, and therefore all numbers relating to relative statistics are often skewed. If you or a loved one have been the victim of sexual abuse, you understand only too well the difficulty it takes to move on with an ordinary life after sexual abuse has occurred. Sexual abuse has the potential to drastically impact the future of a victim in both physical and psychological ways, and should be appropriately punished. Unfortunately, sexual abuse is more prone to happen to young children and may go unreported for dozens of years. Children may not fully comprehend what is occurring when they are sexually abused, and are often manipulated by the abuser to assume that this conduct is normal behavior. It is therefore sometimes extremely difficult for parents to determine that something out of the ordinary is going on. Sexual abuse can take many forms, ranging from forced sexual encounters to sexual exploitation. Most forms of sexual abuse are criminal actions, and should be brought to the relevant law enforcement agencies. However, victims often remain emotionally and physically scarred for the rest of their lives, and the criminal punishment of the abuser will do little to ease this burden. A civil claim for damages may help rectify the victim’s situation, or will at least serve to partially make them whole again. The victim will never be able to get back to the position they were in prior to the abuse, but a claim for damages will assist in providing the victim with a sense of closure. A criminal charge has a higher burden of proof than a civil claim, and the two are not dependent on the outcome of the other. A criminal defendant must be proved guilty by the prosecutor beyond a reasonable doubt, meaning that the prosecutor must be able to prove each element of the crime. On the other hand, a civil court must only find the accused guilty beyond a preponderance of the evidence. If a sexual abuser is not convicted in a criminal court, they can still be found guilty in a civil court. A civil claim for damages after sexual abuse can involve both physical and emotional damages. While many types of sexual abuse have long lasting physical damages, the largest type of abuse occurs to the emotional state of the victim. The victim will often have to undergo years of therapy to move beyond the years of torment, and it may be a difficult, arduous process. A claim for damages will take this into consideration in placing a monetary value on this struggle, as well as any existing financial expenses the victim may have to undergo, such as medical expenses or lost wages. An experienced personal injury attorney will be able to assist you in calculating the amount of damages you are entitled to claim after the sexual abuse occurs. 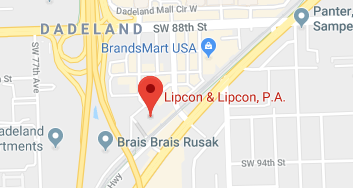 If you or a loved one have been the victim of sexual abuse, do not hesitate to contact the attorneys of Lipcon & Lipcon. Our attorneys have years of experience in assisting our clients with the difficult claims after sexual abuse has occurred. Sexual abuse is a traumatic time in any person’s life, and can potentially impact the victim’s life for years to come. Contact our Miami office today for your initial free consultation.